"A stealth game about stalking a boy and killing any other girl that is interested in him." 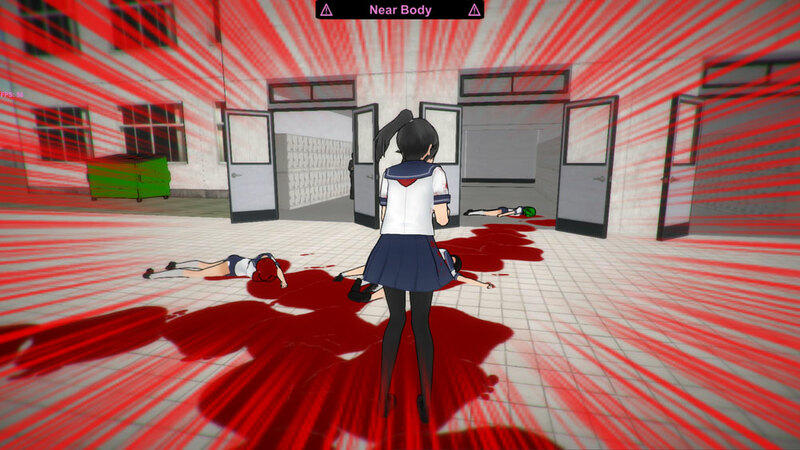 Yandere Simulator game: What is it about? 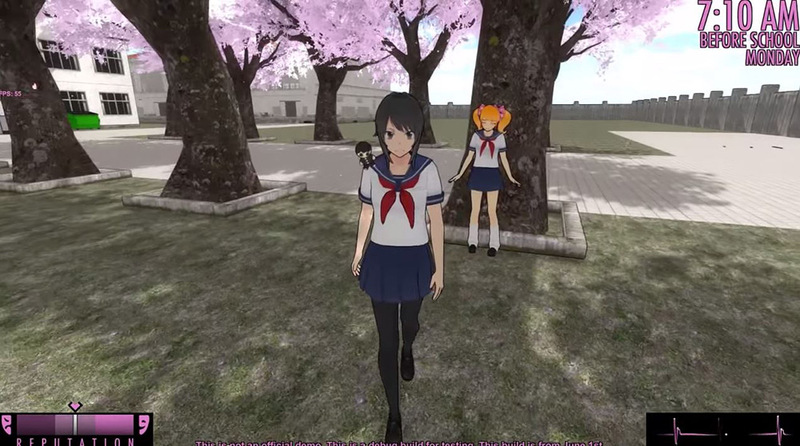 Yandere Simulator game uses manga and anime style graphics and animation that make up the entire background of the game. You refer to an upperclassman as your "senpai" as you would expect with this type of anime like story. 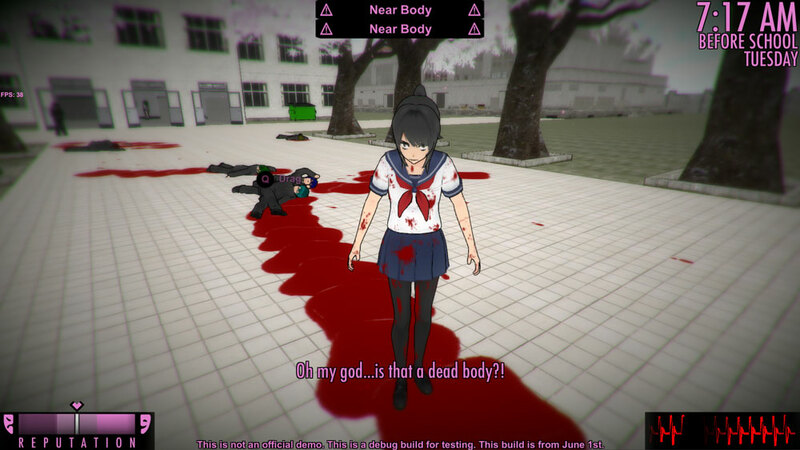 The idea of the game is in the name itself - Yandere Simulator. A "yandere girl" is a girl that is willing to threaten, harm, or even kill any other girl that is interested in him. In this case, you play the yandere girl and do your best to eliminate all of the girls that may become a problem in your relationship between your senpai and yourself. Yandere Simulator uses a stealth like style of gameplay that is very comparable to the stealth life gameplay in the Hitman Games series. You are in an environment full of NPCs that are roaming around the map that you are in going about their lives. In this case, you are on your school campus doing school hours, and must use each day to your advantage to secretly kidnap or kill the girls that may become a risk to you and your relationship with your senpai. You must kidnap or kill your targets without any witnesses and leave no evidence that reveals that you have done anything at all related to the incident. If you happen to have a witness, the NPC will most likely try to get a teacher involved, or even the police. You must race the Yandere game by cleaning up the scene of the incident and clean your clothes to make it seem like the person who told the teacher is pulling a prank. In this case, you would get away with the crime with a witness and the witness will be taken as a fool. If you get caught, you get expelled and lose the game. If your senpai ever witnesses or finds out you are the killer, you lose the game as well by becoming heartbroken. Yandere Simulator for PC is in very early development stages with only 7% of the game complete at this time. There is no actual way to win the game yet, but it is still surprisingly very fun to play and is definitely worth giving a try. This anime game will probably be extremely fun to play when it is eventually complete - so it will be exciting to see how the development goes for the game. 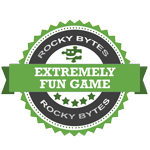 In Rocky Bytes you can get a Yandere Simulator Free Download. So, what would you do for love? As a joke for April's Fools, YandereDev created Kuudere Simulator, which can only be defined as the opposite of Yandere Simulator. Is an unemotional girl that just sits alone in a dark room and has absolutely no interest in senpai. Get this demo download now and don't miss this anima and manga game and its future updates! Yandere Simulator easter eggs and tricks! 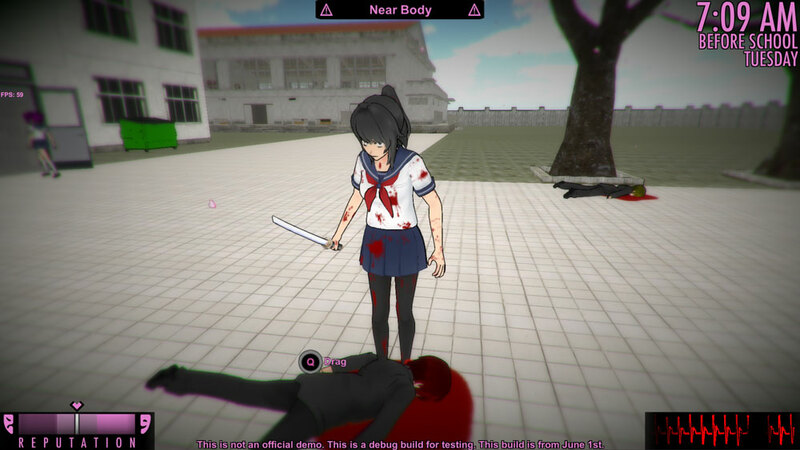 Learn how to play Yandere Simulator in just a few steps with this tutorial! Free games that are just as good as most that you would pay for!